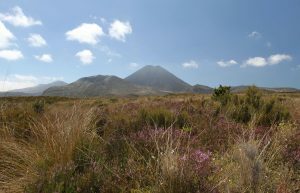 Mount Ngauruhoe seen from the start of the Tongariro Northern Circuit, near Whakapapa Village. 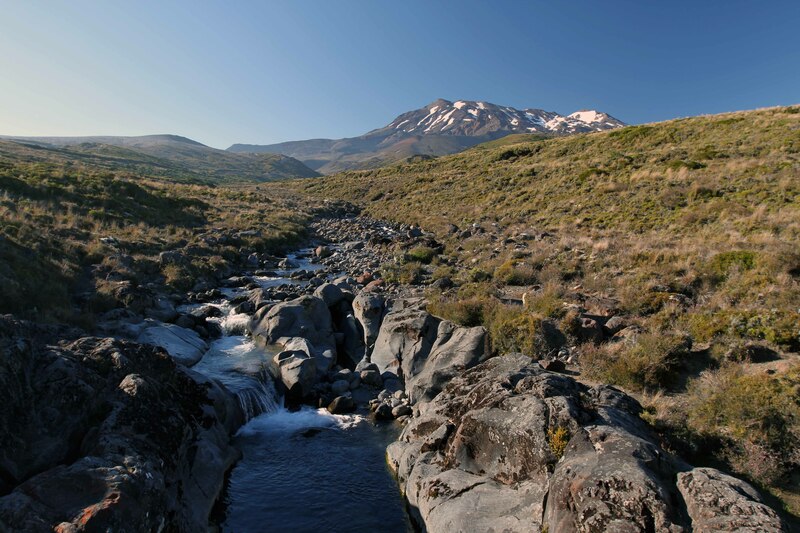 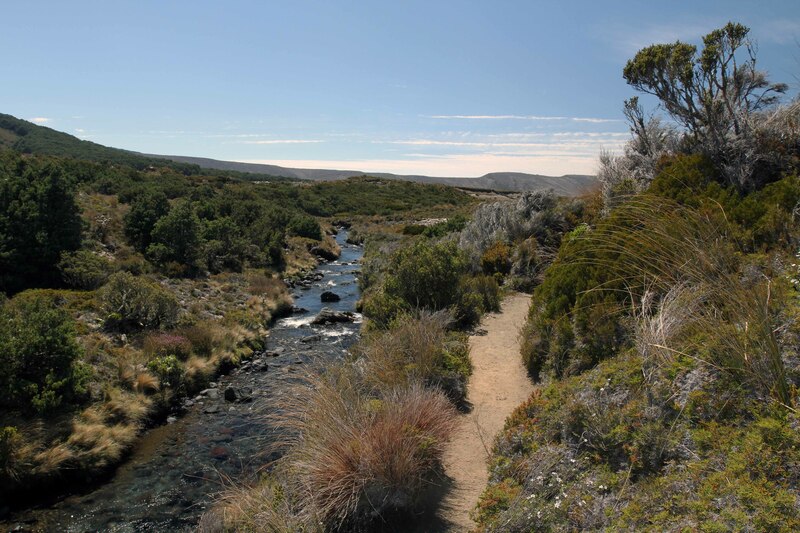 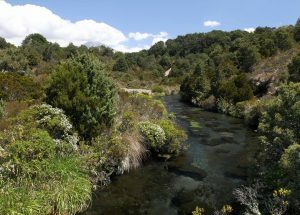 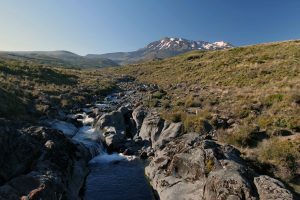 Crossing a creek with Mount Ruapehu in the background. 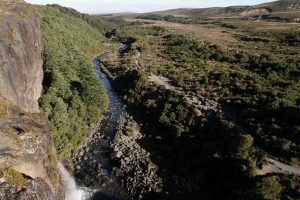 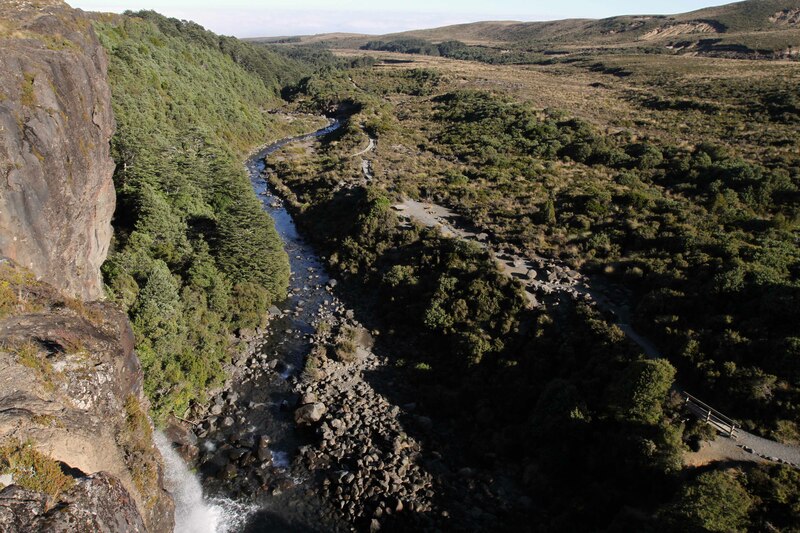 Looking at the trail from the top of Taranaki Falls. 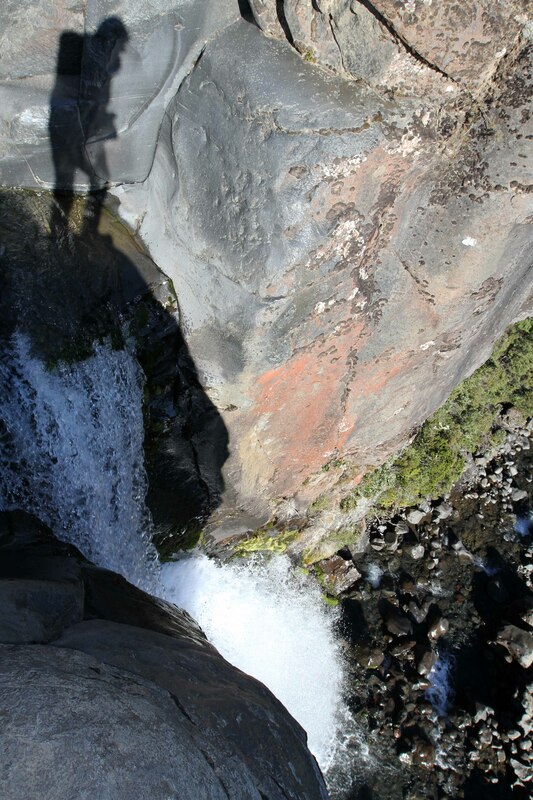 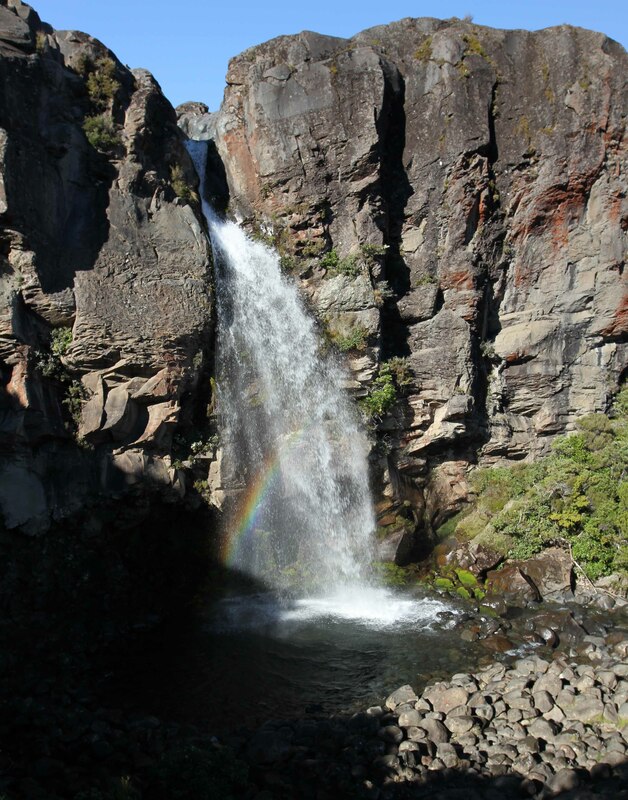 Looking down at Taranaki Falls. 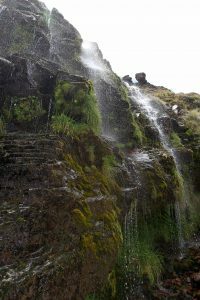 Taranaki Falls seen from the trail. A closer view of Mount Ruapehu. 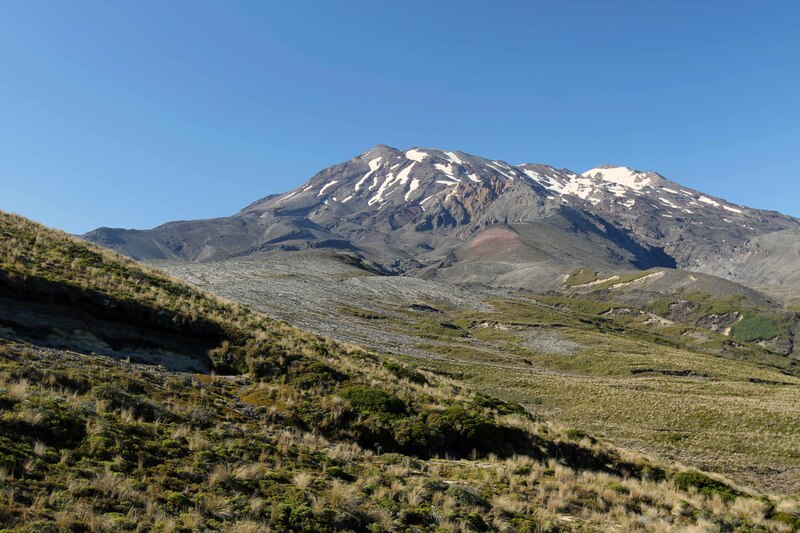 Another view of Mount Ngauruhoe. 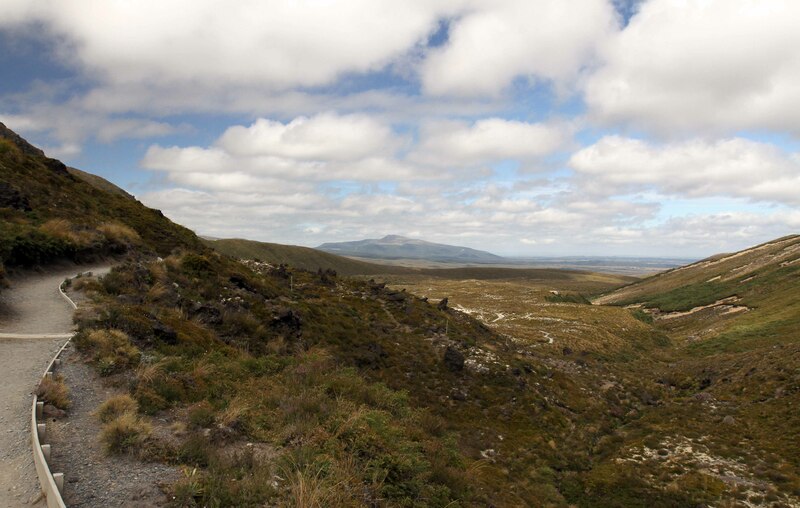 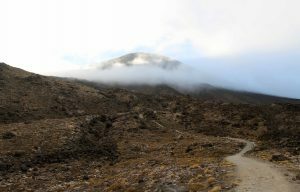 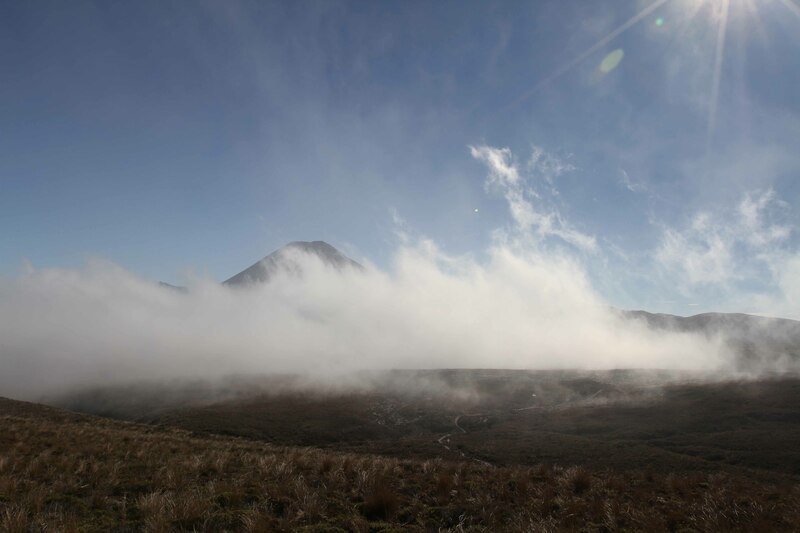 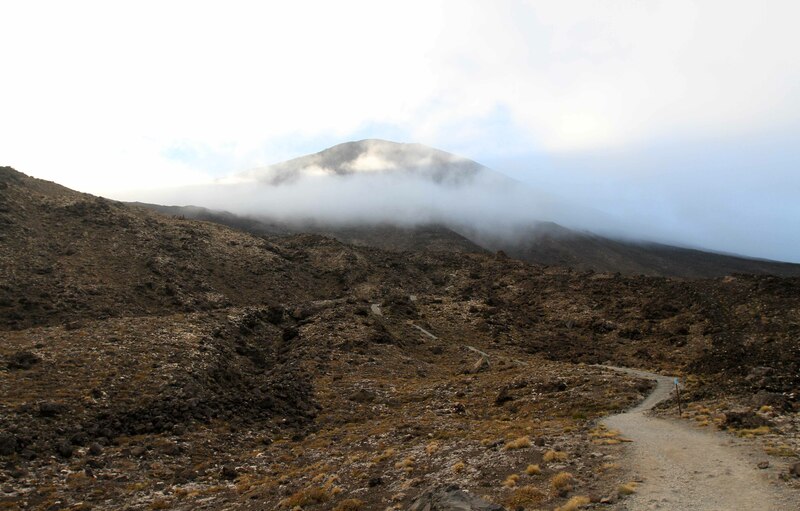 A cloud sweeping past the trail with Mount Ngauruhoe behind it. 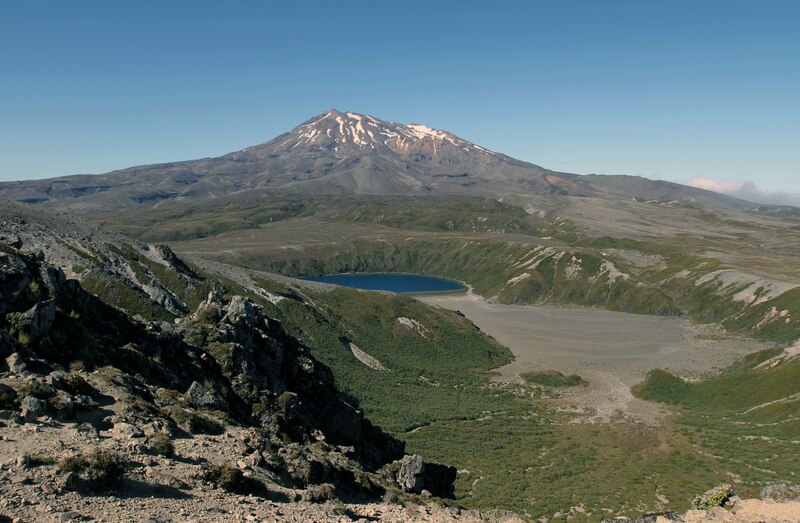 Mount Ruapehu with Lower Tama Lake in view. Upper Tama Lake with Mount Ngauruhoe in view. 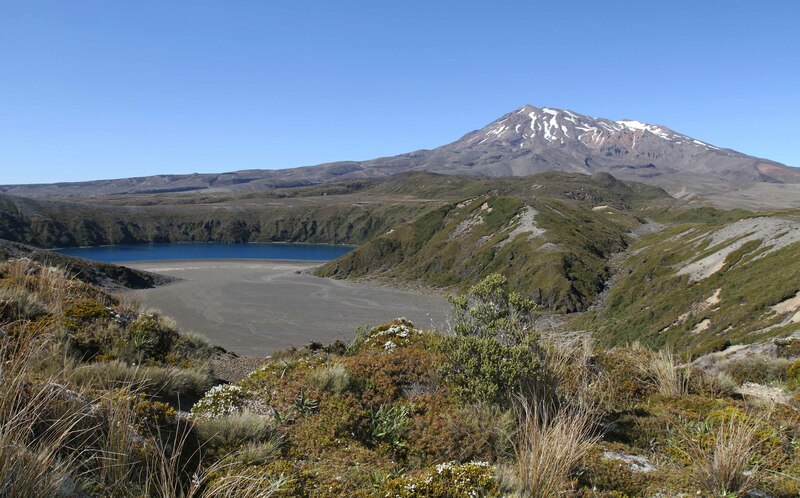 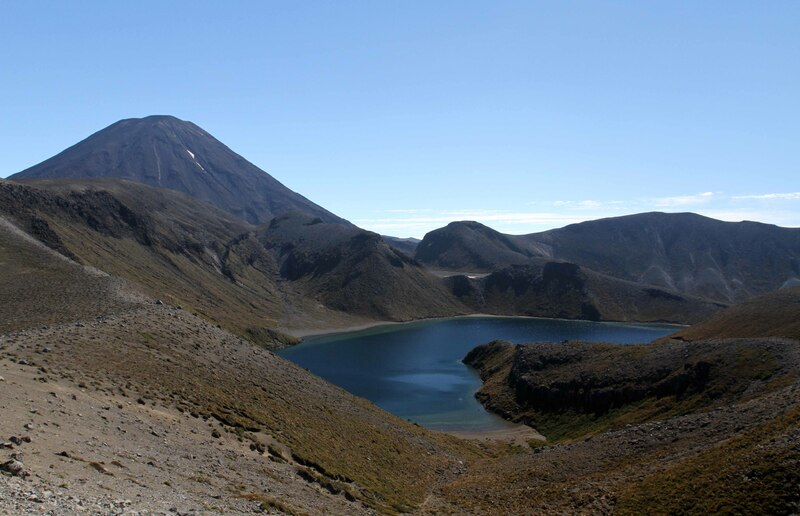 View of Mount Ruapehu and Lower Tama Lake, seen from Upper Tama Lake. 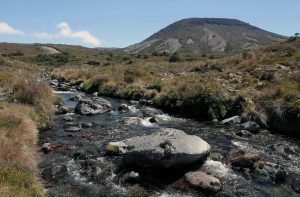 Crossing a stream on the trail. 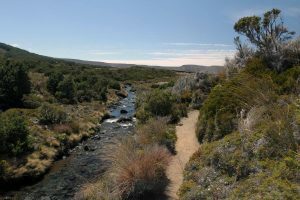 The trail following alongside the stream. 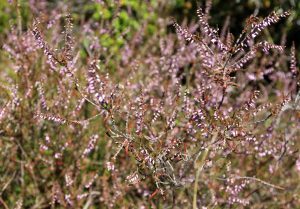 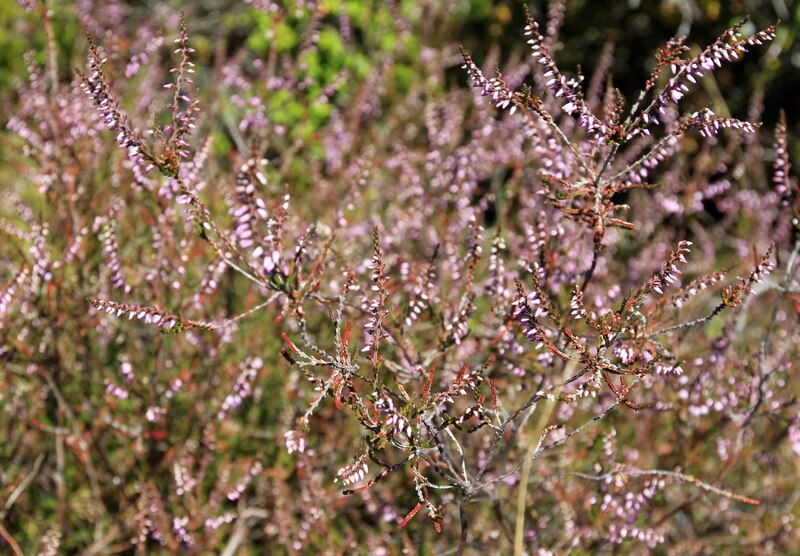 A bush with small pink flowers. 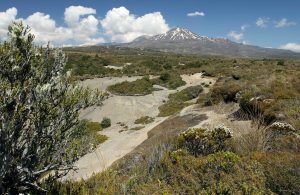 Another view of Mount Ruapehu from the track. 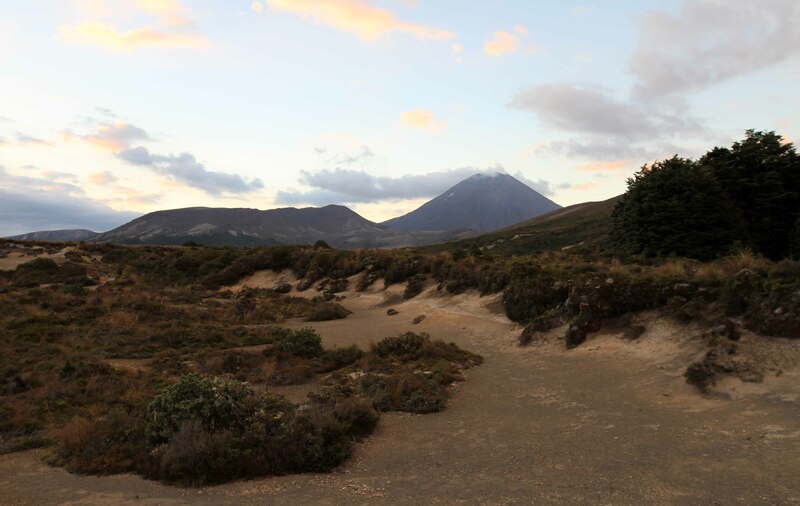 Mount Ngauruhoe seen near sunset. Mount Ngauruhoe in the morning. 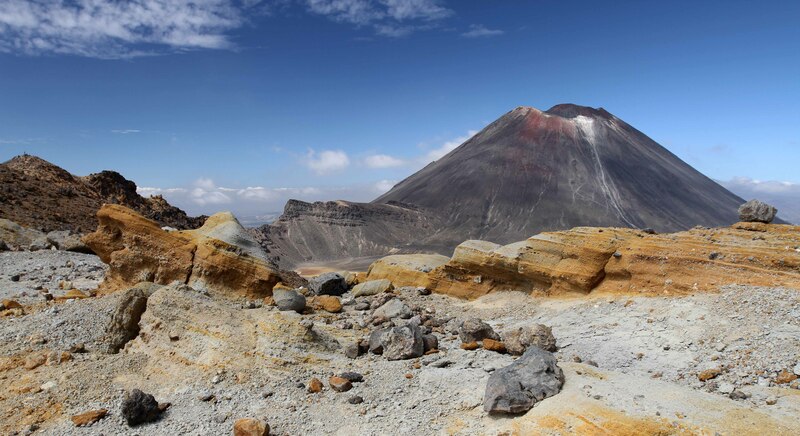 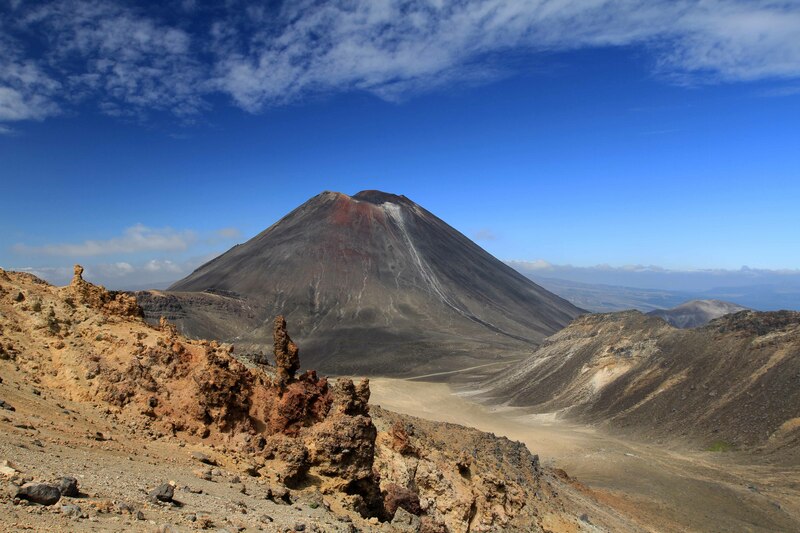 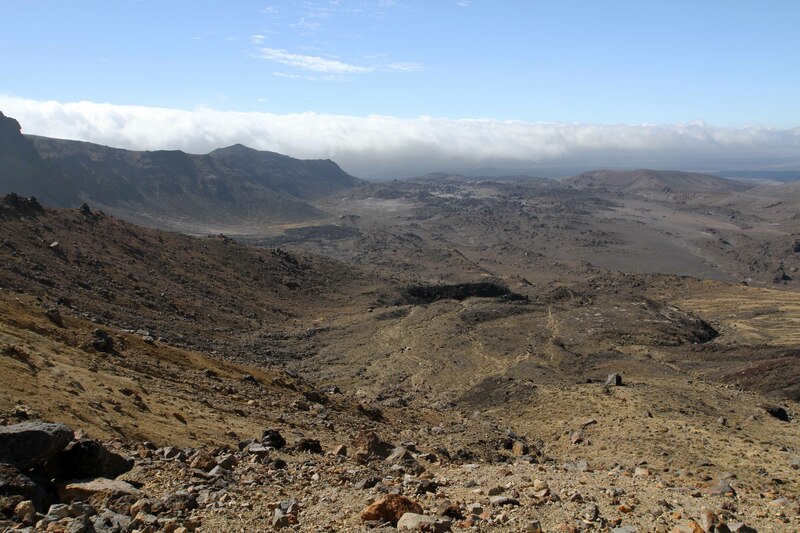 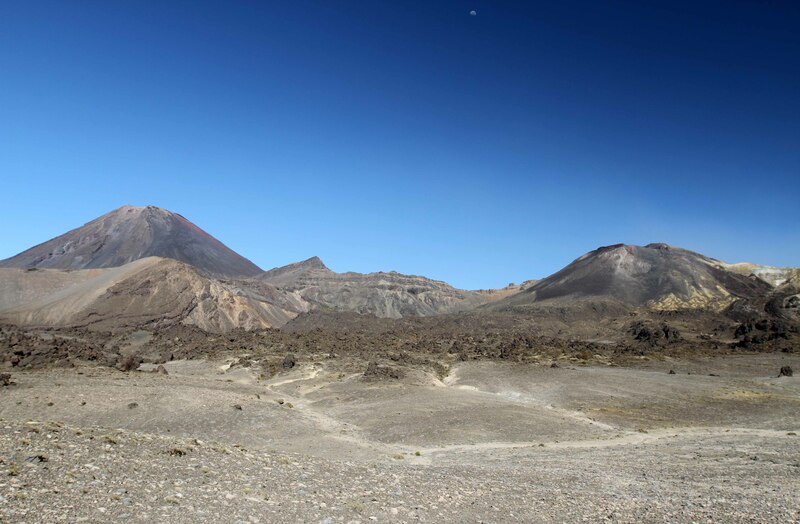 The martian-like landscape on the eastern side of Mount Ngauruhoe. Rugged bluffs to the east of the trail. 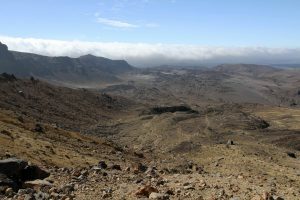 Looking back at the desolate landscape during the ascent toward Emerald Lakes. 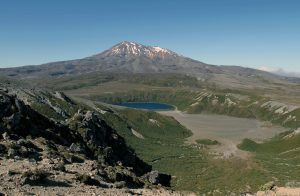 Looking back, toward the southeast, from Emerald Lakes. 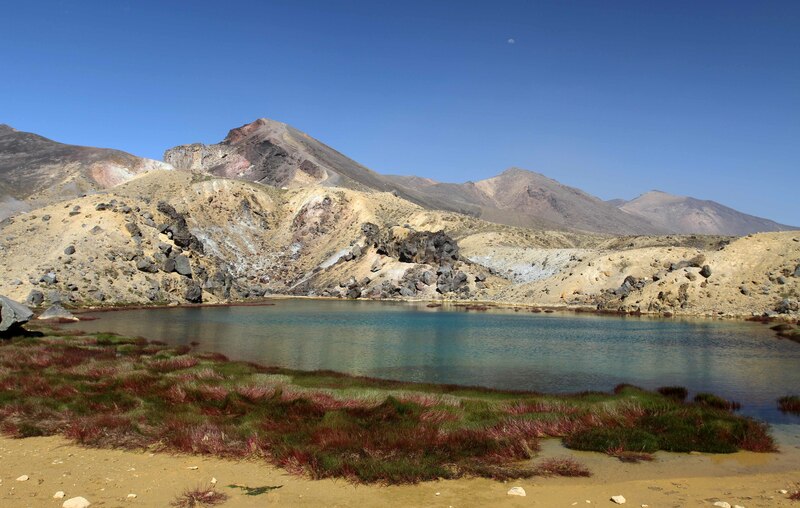 One of the Emerald Lakes. 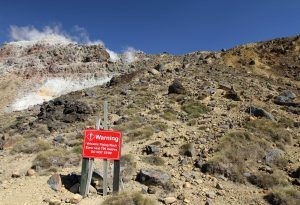 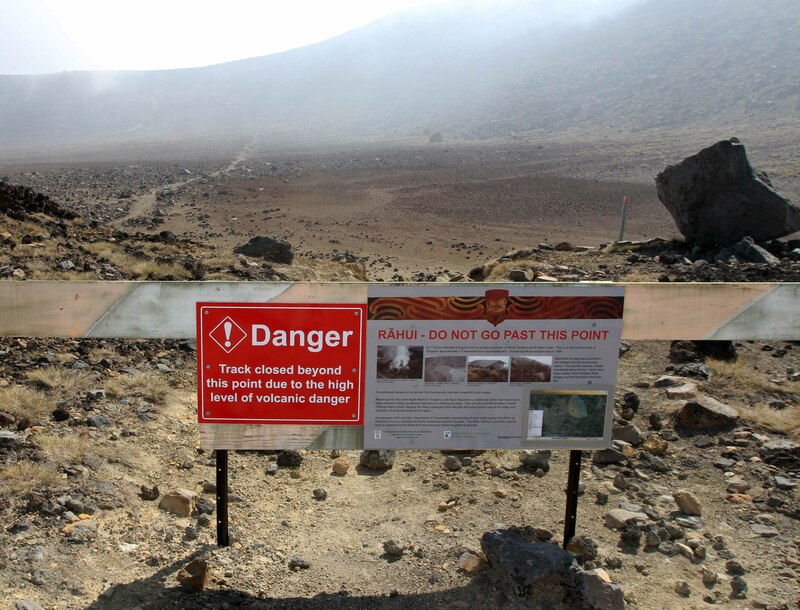 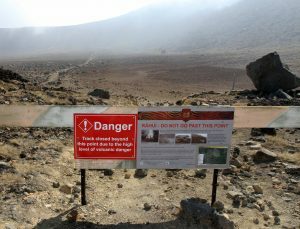 The trail to Ketetahi Hut (not part of the Tongariro Northern Circuit) closed off due to increased volcanic activity and two volcanic eruptions that occurred in August and November of 2012. Looking back at one of the Emerald Lakes. 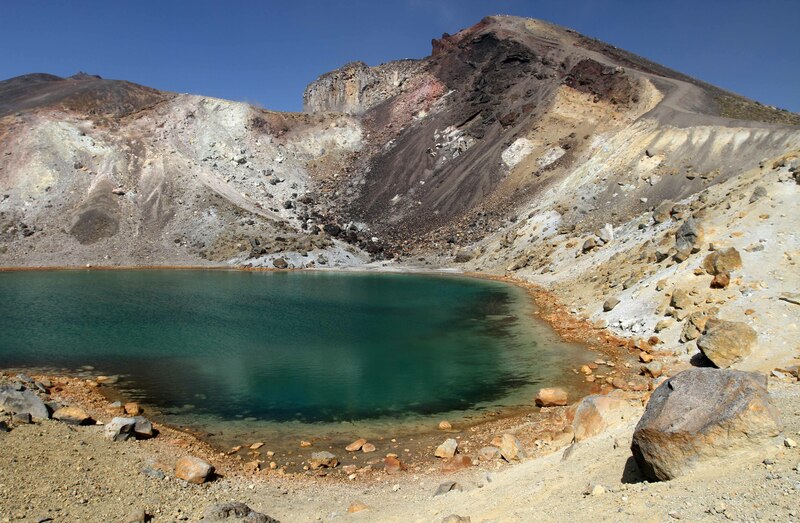 On the shore of another Emerald Lake. View of the Emerald Lakes. 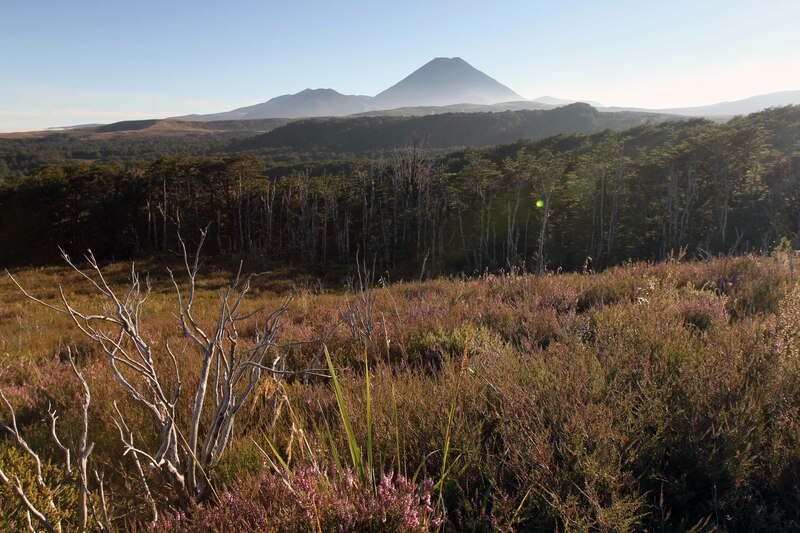 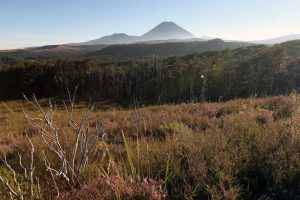 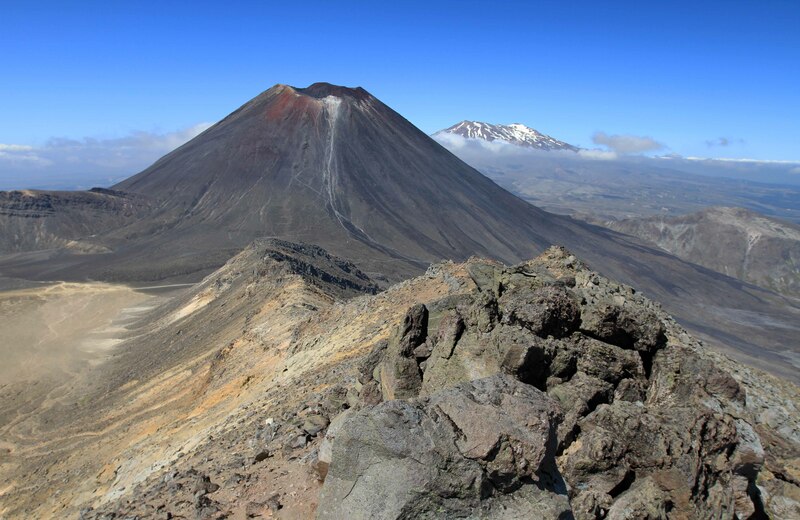 Mount Ngauruhoe and South Crater in view. 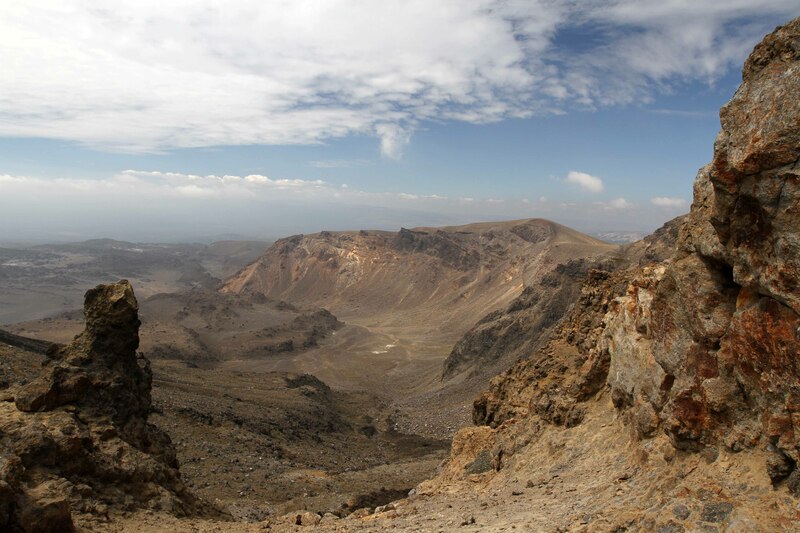 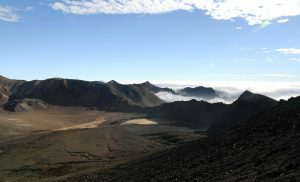 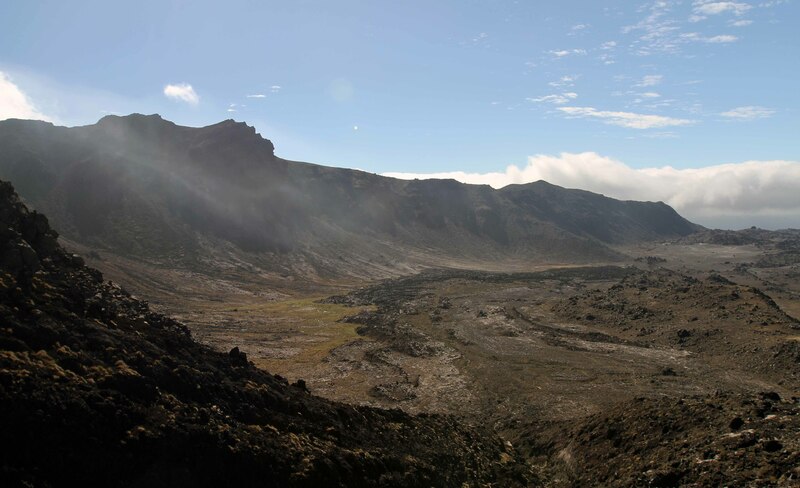 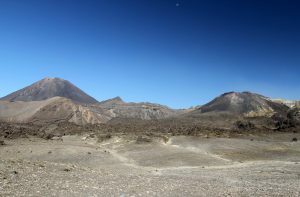 The trail on the outer rim of South Crater. 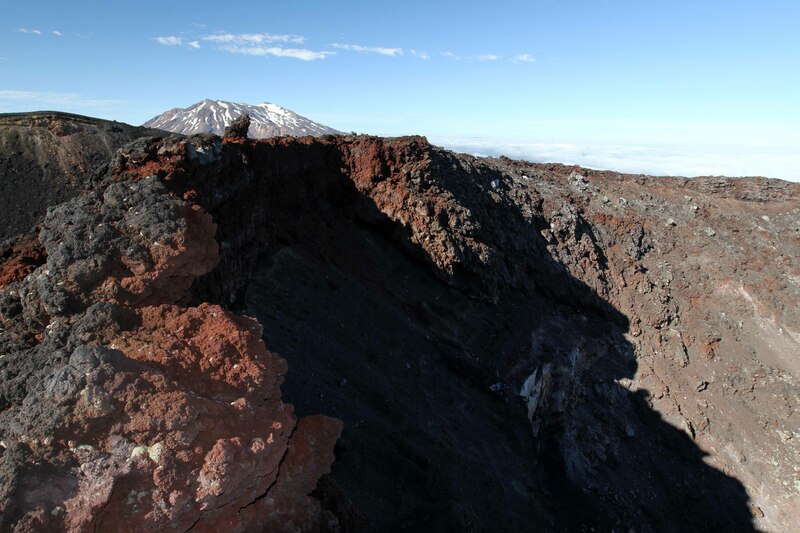 Standing on the western edge of South Crater with Mount Ngauruhoe and Mount Ruapehu in view. 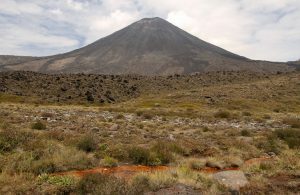 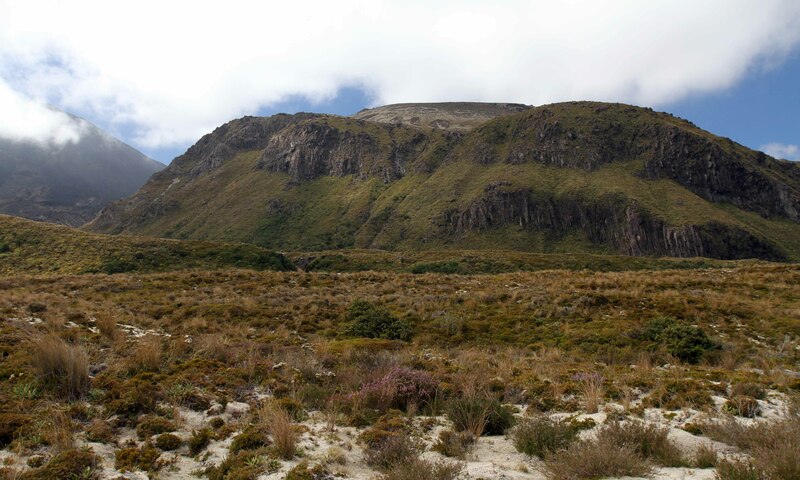 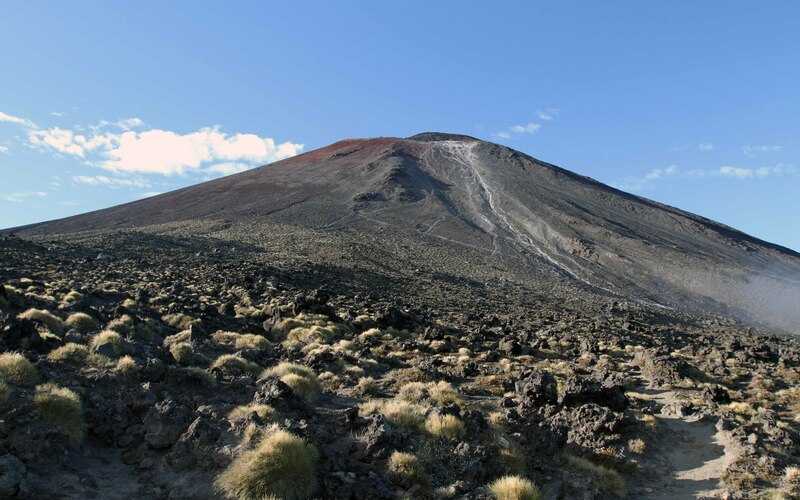 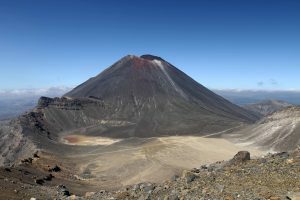 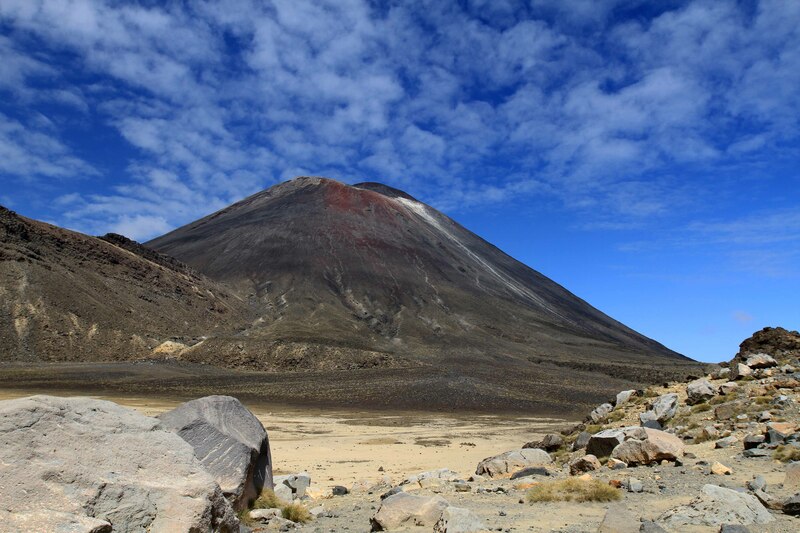 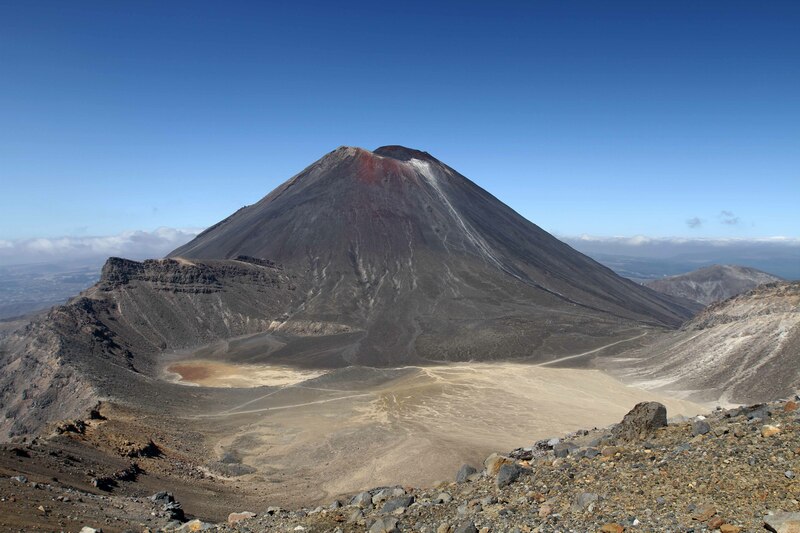 Another view of Mount Ngauruhoe, seen from the northern end of South Crater. 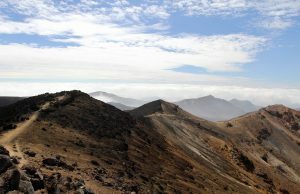 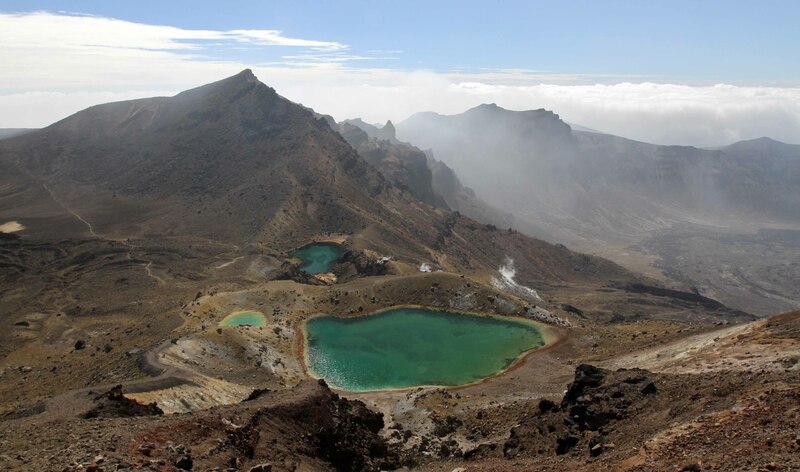 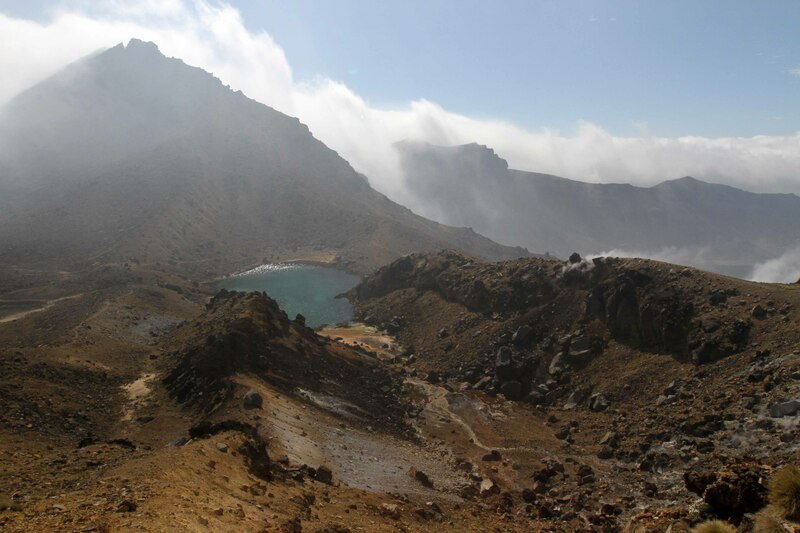 Looking north from Mount Tongariro. Mount Ngauruhoe seen from the bottom of South Crater. Water falling from Soda Springs. 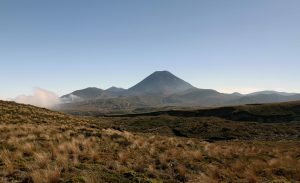 Yet another view of Mount Ngauruhoe. 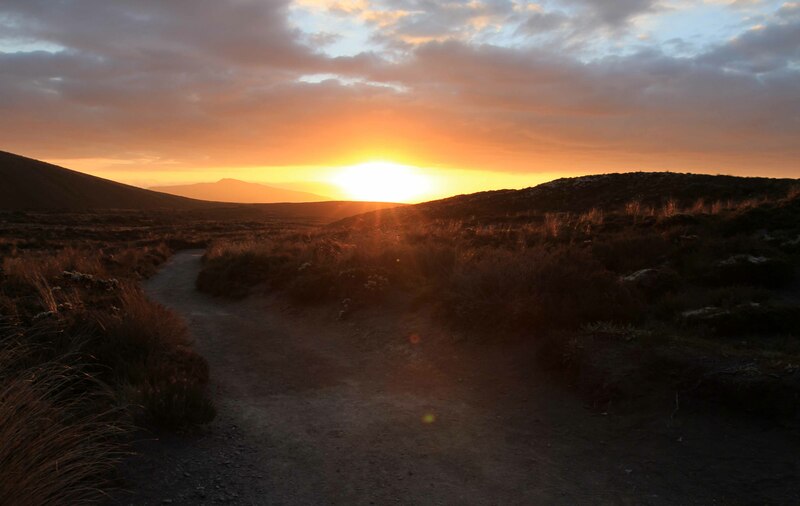 The sun setting on the trail (near Mangatepopo Hut). 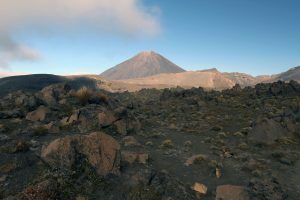 Hiking back toward Mount Ngauruhoe (I left my backpack at Mangatepopo Hut so that I could hike to the top of Mount Ngauruhoe before then returning and finishing the trail). 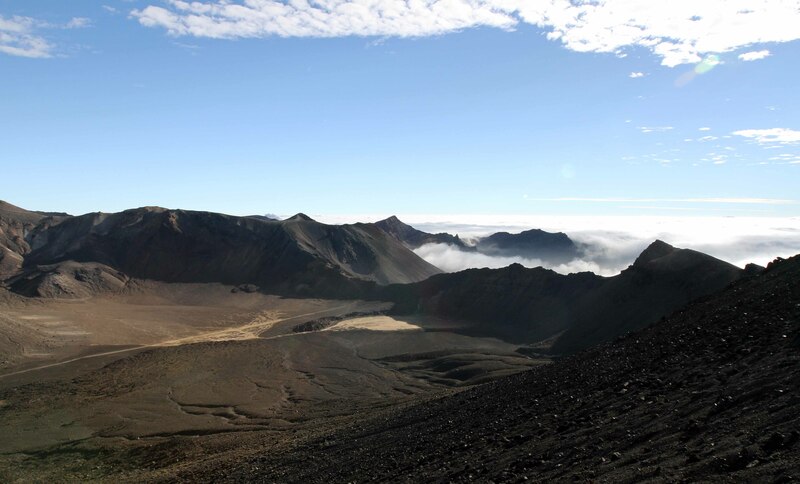 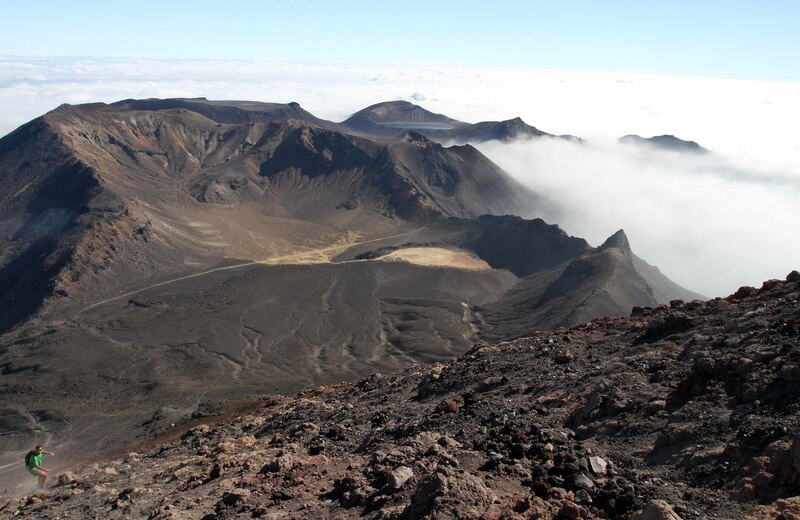 Looking at South Crater from Mount Ngauruhoe. At the top of Mount Ngauruhoe with the crater and Mount Ruapehu visible. 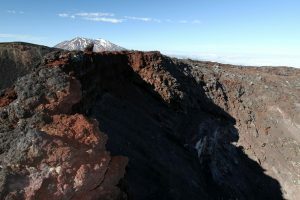 Looking down at South Crater from the top of Mount Ngauruhoe (notice the trail cutting right through the crater), with Blue Lake visible in the distance. 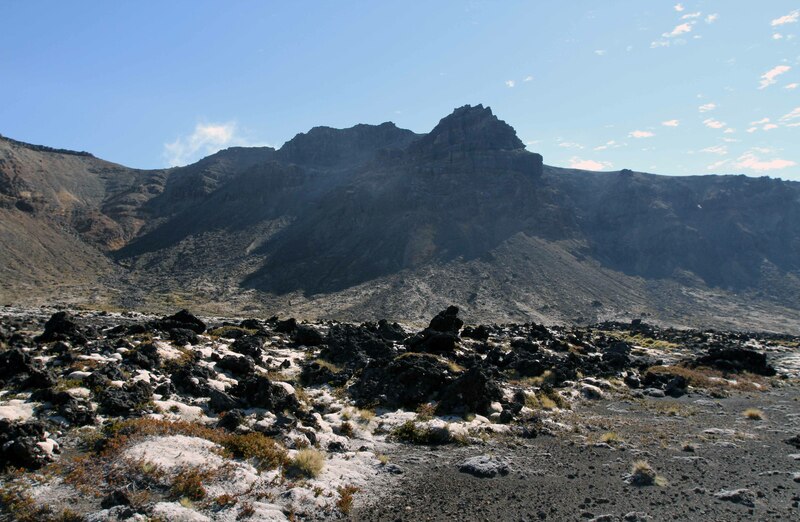 Hiking back to Mangatepopo Hut. 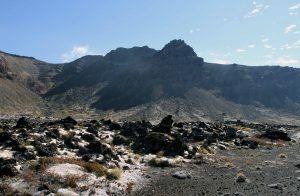 Mount Pukekalklore with the edge of Mount Ngauruhoe barely visible on the left (nearing Mangatepopo Hut). 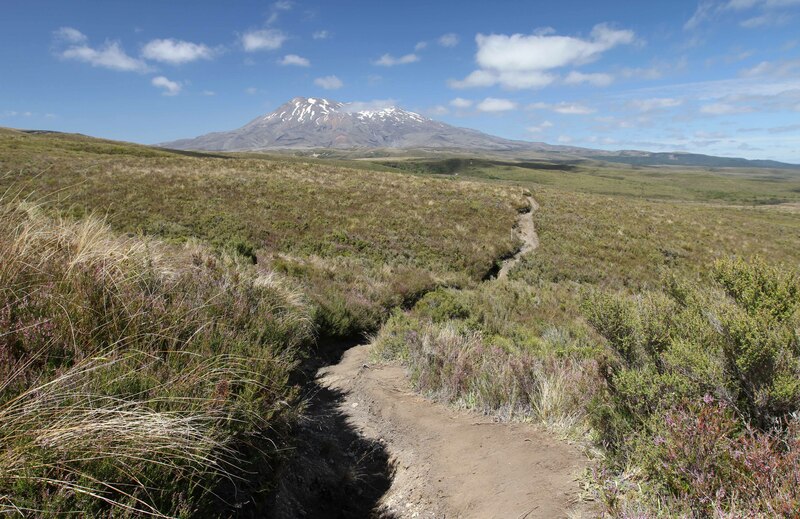 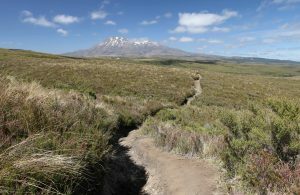 Back on the trail proper (reunited with my backpack), looking at Mount Ruapehu whilst hiking toward Whakapapa Village (the end of the track). 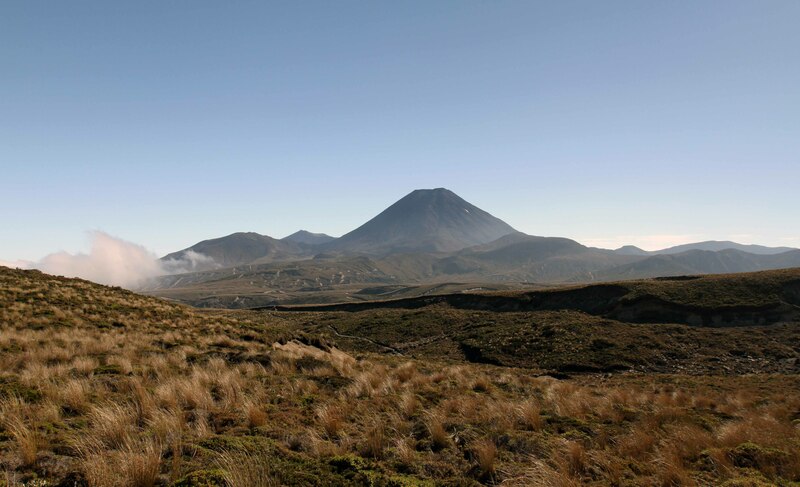 One last view of Mount Ngauruhoe, seen near the end of the Tongariro Northern Circuit (near Whakapapa Village).